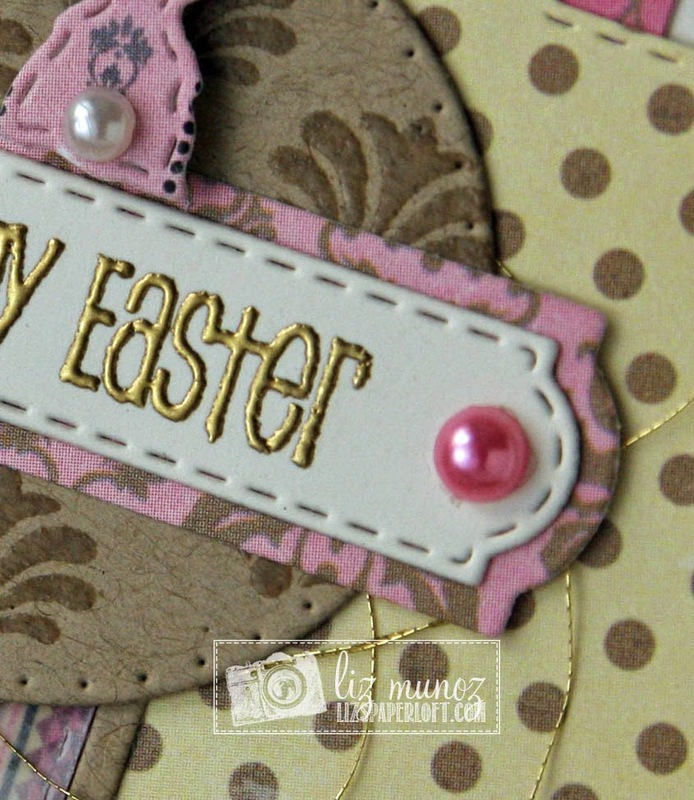 Liz's Paper Loft: MCT March Release Sneak Peek Day 2 ~ hoppy easter! 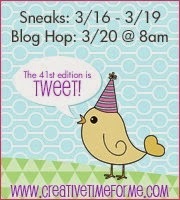 MCT March Release Sneak Peek Day 2 ~ hoppy easter! Today we are featuring Fun Stitched Tag Dies! This set is going to be your "go to" set for banners and tags! I'm not sure if I can express just how much I LOOOOVE this set!!!! but I am having Corned Beef and Cabbage tonight for dinner! YUM YUM!! Okay now on to my project...this card was created with a few dies from the new set and some of my all time favorites. That's the beauty of My Creative Time dies, the easily coordinate with older sets! Your Easter card is adorable! Thanks for sharing it! Gorgeous use of the new tags on the old labels. OMG what a Gorgeous Card. Love how you showed today's sneak peek work with Miss Emma's other goodies....you definitely outdid yourself and came up with lots of clever and creative ways to use everything. Love the colors and that little bunny is so cute. Your card is so going to be the highlight of someones Easter. I so can't wait to get this new die set. Thank girl for all your inspiration. YOU so ROCK!! Liz this is such a sweet and festive card!! Love all of the colors and elements you used (like those sweet pink pearls) I agree with you~ one of my favorite things is that Emma's dies coordinate so beautifully together!!! Liz ~ this is seriously GORGEOUS! LOVE the design but the details and colors are simply Beautifully put together! Amazing job like always! Beautiful! Love the pink and gold! Fabulous work! Your card is gorgeous!! Love the new dies. Cute, cute, cute! The tag dies can be used in so many ways. Very sweet Easter card. Good Job! Soooo pretty!! love the colors!! Oh so pretty! I love your papers, colors and layout! Love all the different dies that you used! Wonderful card, way to go with those tags too! Happy St. Patrick's Day. Hope you enjoy your corned beef dinner. I'm looking forward to mine. The card is so pretty. I love the design on the center piece. It fits into the idea of Easter - not really sure what makes it appropriate but that was the first thought that came to mine. Thanks for sharing your beautiful Easter card. What a beautiful Easter card. Loved all the layers you added. So creative! Very pretty paper and great use of all of the dies you used...love the way they layer and go together. Loved the circle sneaks yesterday and the new tags today. 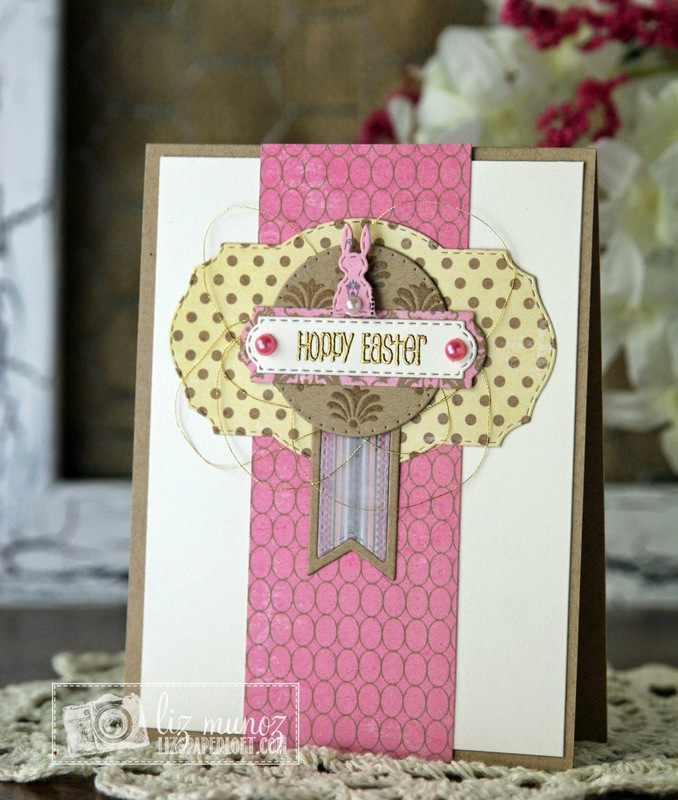 The Hoppy Easter label is such a pretty shape and size and I like it with the Vintage Label. Beautiful job! Liz, the gold embossing is perfection! Looks amazing! I love the layered dies! A must have for any crafters collection for sure! Such a darling and sweet card! LOVE it...so pretty and great patterns! Love how all the dies coordinate together! This is such a cute card. Pretty card. Love the bunny sitting on top of the tag. your card is so beautiful in a perfect color choice! Such an ADORABLE card Liz! I just LOVE the card LO and the paper is so pretty!!!! LOVING that cutie bunny too!!!! 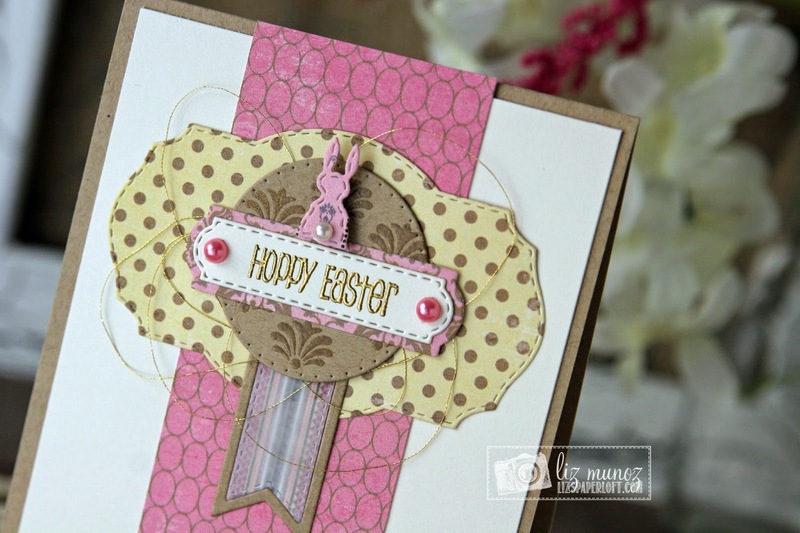 Great use of older dies to showcase new products- little pink bunny is perfectly placed. Liz I love your card So pretty !!!! TFS Great sneak peek girl!!! I love everything about your card. Love your sweet Easter card! That bunny is adorable!!! Awesome tag dies set!